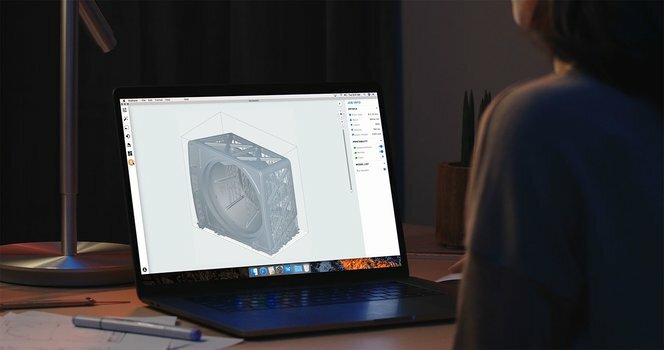 Today, Formlabs is proud to announce two new hardware products that will help usher in a new era for industrial 3D printing: the Form 3, the latest in our line of professional printers for the desktop, is available to order now, and the Form 3L, the first affordable large format resin 3D printer, is available for pre-order. Both new printers are powered by Low Force Stereolithography (LFS)™, which offers incredible print quality, lighter supports, and a platform for more advanced materials and applications. 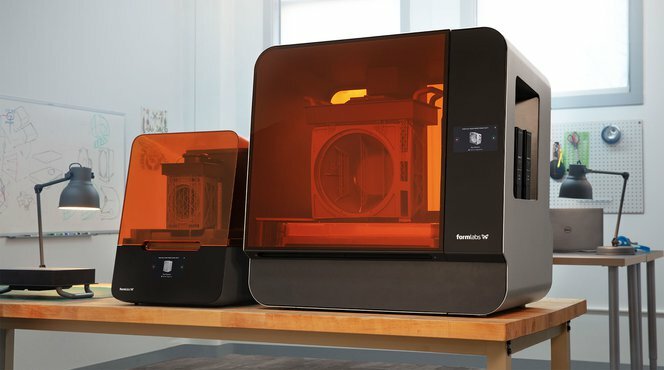 Formlabs 3D printers have become the go-to solution for a wide range of industries because of consistent performance and unparalleled ease of use, and the Form 3 and Form 3L continue this trend. New software features like the ability to send print jobs remotely and manage a shared print queue open up new ways to work across teams and locations. We’ve focused on nonstop uptime for high volume printing with the addition of advanced sensing and alerts and user-replaceable components. 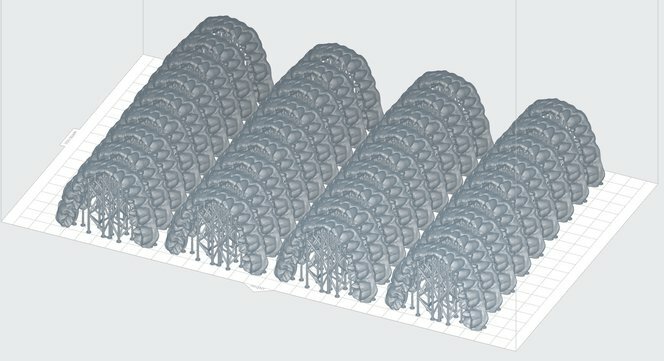 Finally, the LFS process seamlessly scales to a build volume five times larger than our desktop 3D printers with Form 3L. We’re excited to continue expanding access to powerful industrial technology—and to take part quality and printer reliability to unprecedented levels for a fabrication engine that can grow with your business. Read on to learn more about how LFS 3D printing works and why we re-engineered the stereolithography print process. 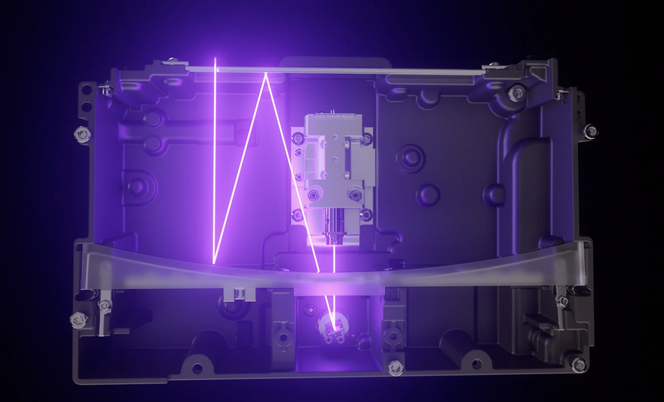 Register for our live monthly demo webinar for a deep dive into the technology behind Low Force Stereolithography (LFS). 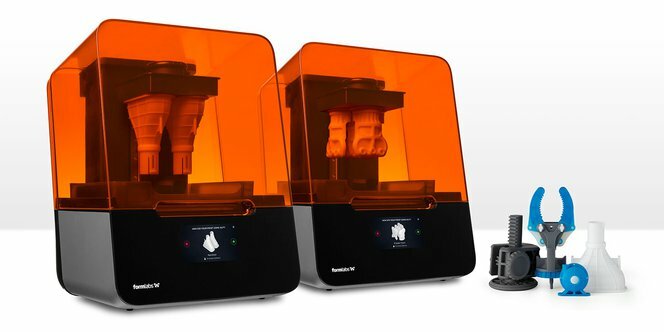 Learn how the Form 3 can fit into your workflows from a Formlabs expert. Formlabs entered the industry seven years ago with the first powerful, affordable desktop stereolithography (SLA) 3D printer. Since then, we have shipped more than 50,000 printers, with more than 40 million parts printed in the field. 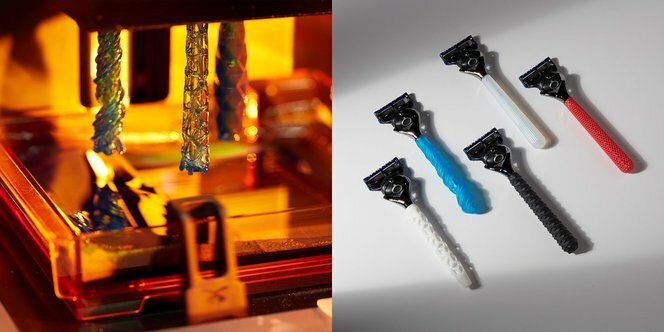 Using Form 2 3D printers as its production engine, Gillette’s Razor Maker™ gives consumers the power to create and order customized 3D printed razor handles. The Form 2 made in-house fabrication of industrial-quality parts accessible by reducing the costs of hardware, materials, and labor to put stereolithography in the hands of more businesses than ever before. 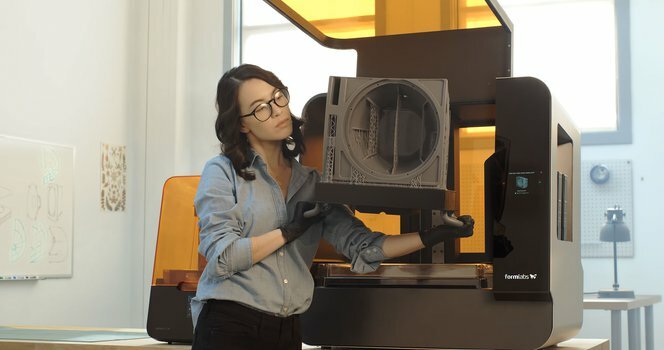 With one of the largest materials science teams in the industry, Formlabs offers an advanced library of more than 20 materials serving specialized needs across industries—and allowing businesses like Gillette to produce end-use, functional parts, at an affordable price to end consumers. Today, Formlabs users are leading the way in how to grow 3D printing from one machine to 24/7 digital factory, from prototyping tool to indispensable driver of business. The Form 3 and Form 3L take this even further, with easy support removal, improved accuracy and reliability, faster printer maintenance, and new opportunities for large part printing and future materials. Formlabs has set the stage to bring industrial-quality 3D printing from accessible to truly universal by creating an in-house fabrication platform reliable and versatile enough to build a business around. 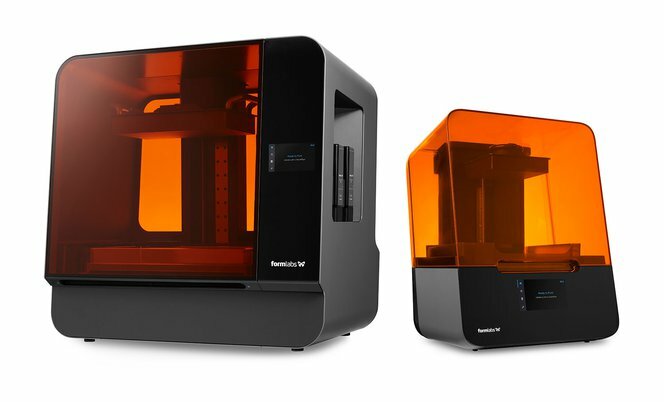 The first Formlabs 3D printers offered a much smaller and more affordable setup than existing industrial SLA machines. The inverted SLA process behind the Form 2 reduces footprint and cost, but exerts significant forces on the part during printing. The printer accounts for this with heavy calibration, but heightened peel forces introduce limitations around materials and build volume, and parts require sturdy support structures to print successfully. With the introduction of Low Force Stereolithography (LFS), Formlabs has completely re-engineered our approach to resin-based 3D printing to drastically reduce the forces exerted on parts during the print process. The lower forces of the LFS print process enable the Form 3 to deliver consistently incredible part accuracy and surface quality. LFS 3D printing uses a flexible tank and linear illumination to deliver incredible surface quality and print accuracy. Lower print forces allow for light-touch support structures that tear away with ease. Additionally, this process opens up a wide range of possibilities for future development of advanced, production-ready materials. The Light Processing Unit (LPU) contains a system of lenses and mirrors to deliver accurate, repeatable prints. The Form 3 contains one LPU, while the Form 3L contains two. Inside the Form 3 and Form 3L is a completely redesigned optics engine, the Light Processing Unit (LPU), which contains a system of lenses and mirrors to deliver accurate, repeatable prints. Within the LPU, a galvanometer positions the high-density laser beam in the Y direction, passes it through a spatial filter, and directs it to a fold mirror and parabolic mirror to consistently deliver the beam perpendicular to the build plane. The Form 3 and Form 3L were built for constant uptime and to free up more time for designing and creating. Integrated sensors across the machine detect and maintain ideal print conditions and send alerts when the printer needs your attention. In the rare case something does go wrong, the system is built for easy maintenance. The Light Processing Unit, resin tank, rollers, and optical window are replaceable in-house to prevent the need for replacement printer shipments. Improved failure detection and handling means you can experiment with confidence. Start prints from anywhere with Remote Print. An intuitive, redesigned user interface across our print preparation software, cloud management tools, and the printer’s touchscreen make it simple for anyone to operate the machine without specialized training. Our latest software is always free and comes packed with features that open up entirely new ways of incorporating 3D printing into your workflow. Start prints on the go with Remote Print, work through an organized print queue in PreForm, and manage teams and permissions in Dashboard. Low Force Stereolithography (LFS)™ scales up seamlessly to a five times larger build area, built around the same powerful print engine. The modular design of the LPU, uniform linear illumination, and the low forces from the flexible tank mean Low Force Stereolithography technology can seamlessly scale up to a larger print area built around the same powerful print engine. The first affordable large format resin printer, the Form 3L delivers large parts fast, using two staggered LPUs that work simultaneously along an optimized print path. 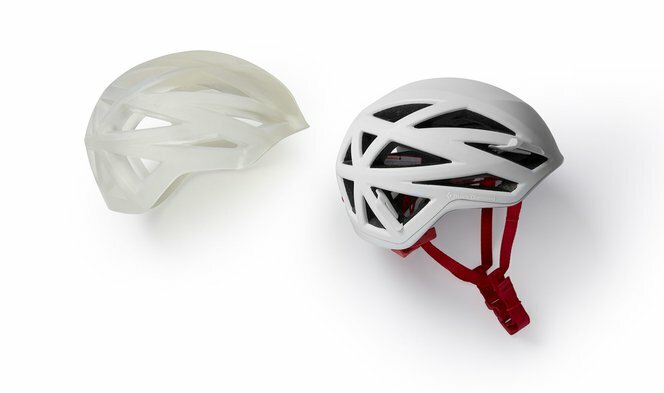 Helmet designed by Black Diamond, with prototype version printed on Form 3L pictured on the left and final product on the right. For the first time, many businesses will be able to print large parts in-house for lower cost per part and faster turnaround. For high production scenarios, the Form 3L multiplies the throughput of every build. For instance, jewelers can print around 150 rings in a build, and dental labs can produce around 40 dental arches at once. Two staggered LPUs within the Form 3L move along an optimized laser path to work quickly through large builds. Both printers use the same hassle-free resin cartridge system as the Form 2. The Form 3L holds two resin cartridges, increasing material capacity to prevent interruptions during even the largest print jobs. 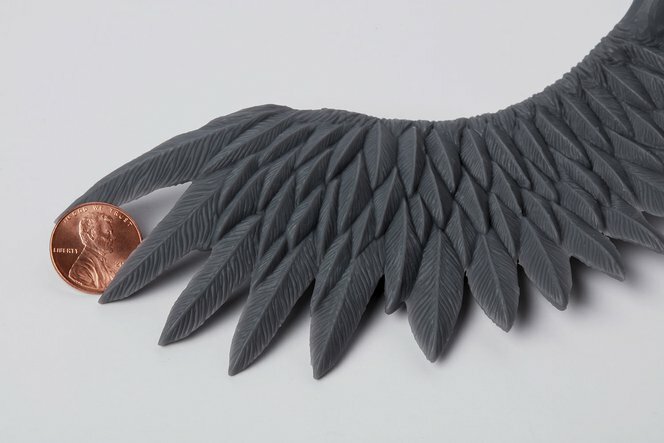 Formlabs has set out to provide the tools for any business to access high-quality fabrication. The Form 3 and Form 3L, built on advanced Low Force Stereolithography (LFS) technology, are the next step toward universalizing industrial-grade 3D printing for the desktop and bringing large format 3D printing in-house at an affordable price point for the first time. Start with one printer and add capacity as demand grows, or begin building a fleet of many printers for high volume printing now. No matter the size of your operation, or the stage of production you’re focused on, Formlabs has the versatile hardware, software, and materials you need to grow your business. In our live monthly demo webinar, a Formlabs expert will present a deep dive into the technology behind the Form 3 and Form 3L. Join us to learn more about how these printers can fit into your workflows.